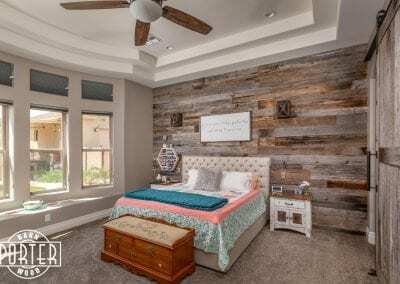 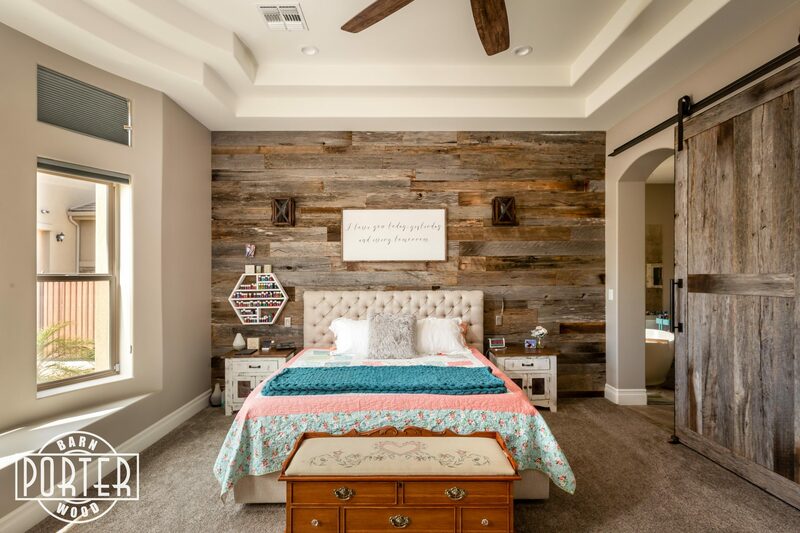 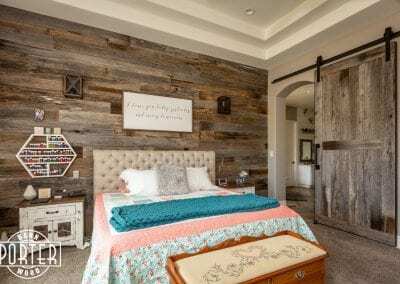 Reclaimed wood wall & sliding door make a statement in this master bedroom. 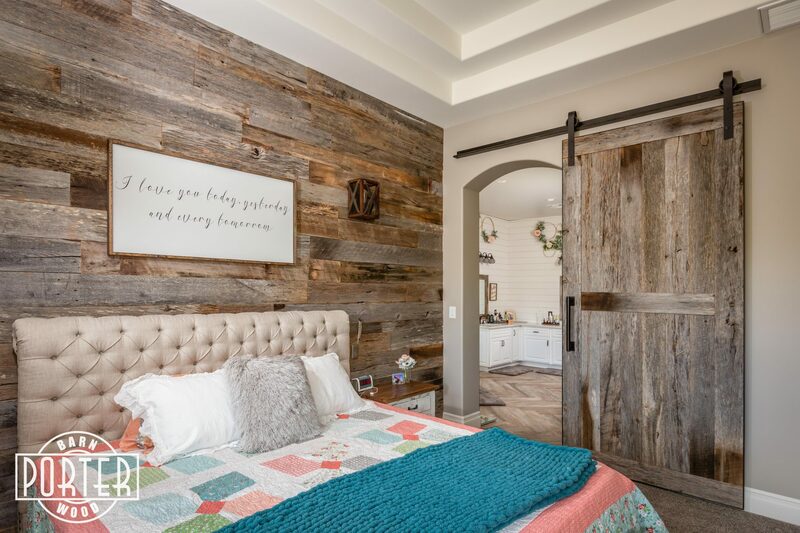 Our Tobacco Barn Grey material make this room feel so inviting and elegant. 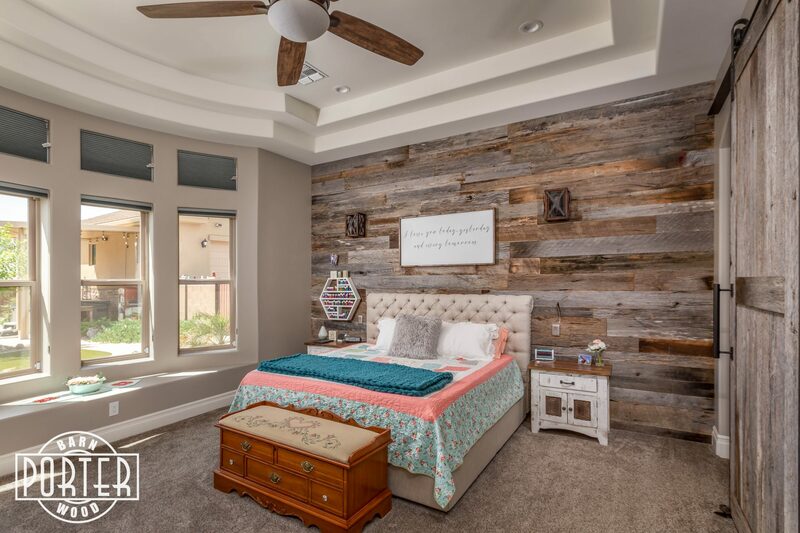 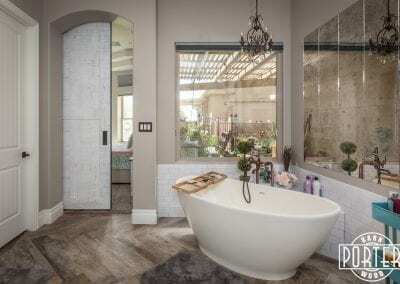 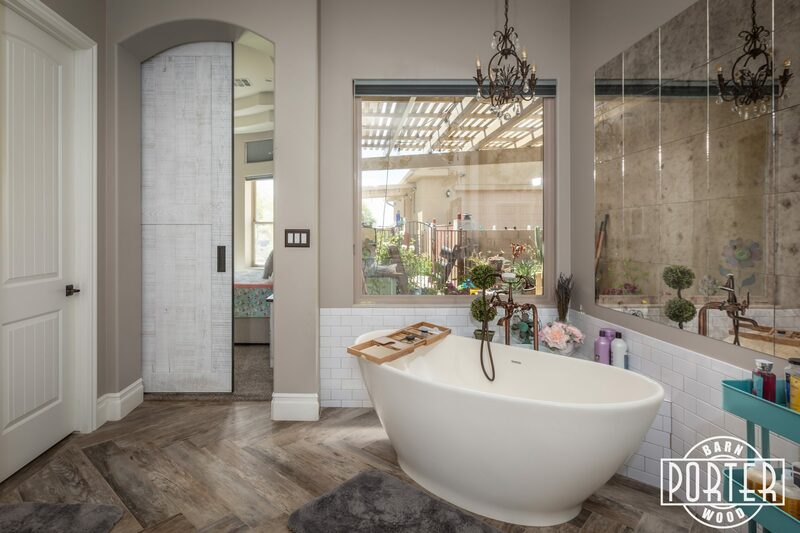 Everyone wants an inviting and cozy master bedroom and bathroom. 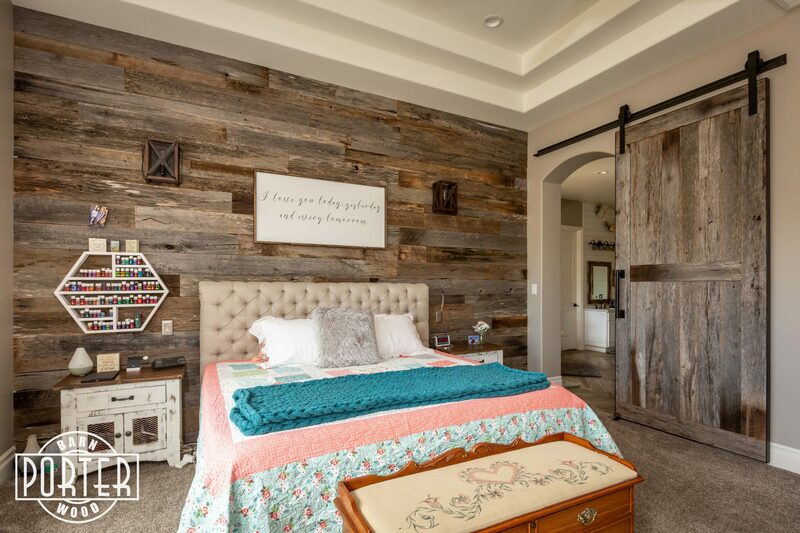 This master bedroom does the trick, with our reclaimed wood wall & sliding barn door topping it off. 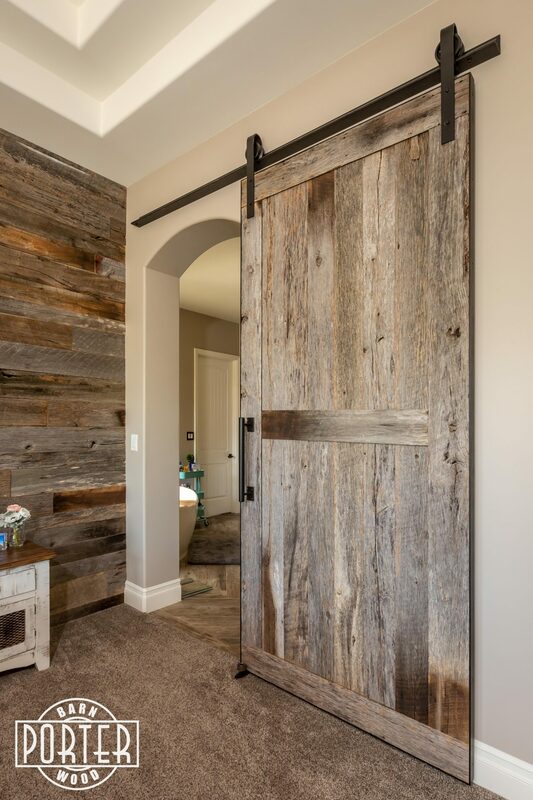 One of our most popular combos is the wood wall and sliding door, this pairing creates an elegant feel to any room. 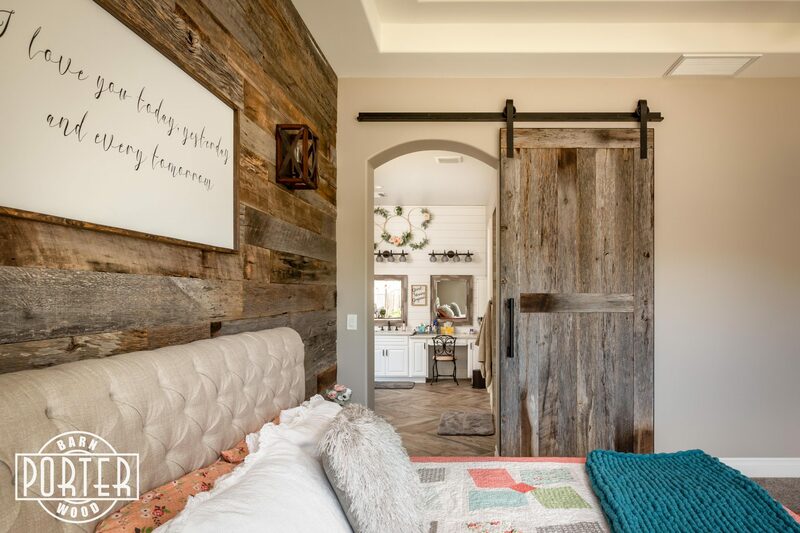 It also gives a room a modern rustic feel. 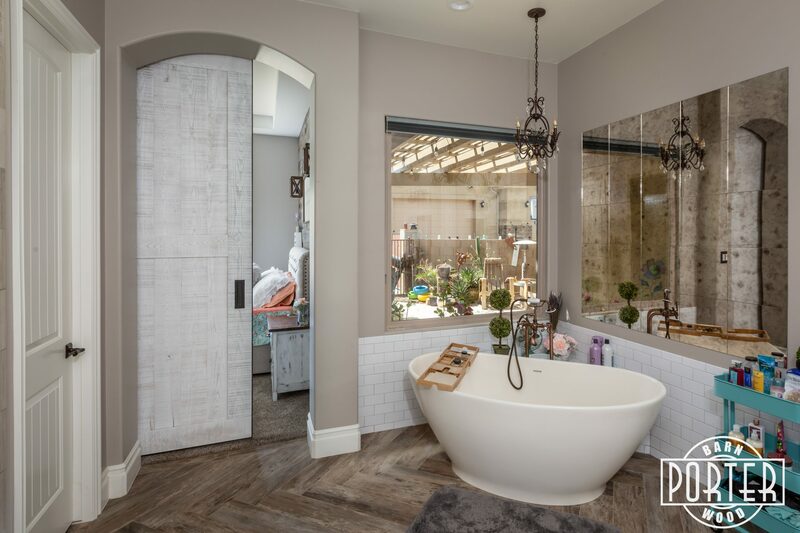 When you entire the room it feel like a timeless and open space. 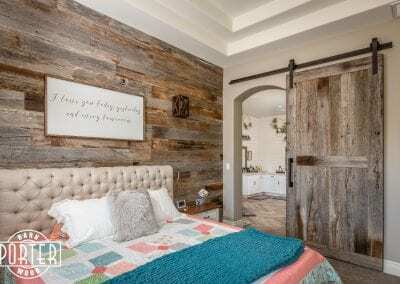 The home owner bought the reclaimed wood wall material from us and installed the reclaimed wood wall on his own, then we built the sliding door in our custom shop and our team, Bjorn Company installed the door. 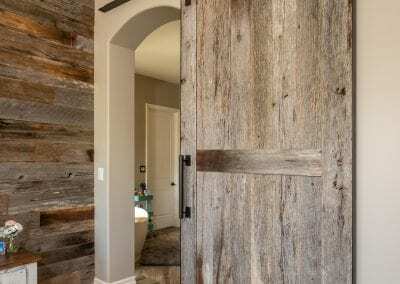 The sliding door is a two panel construction the front side is made of our Tobacco Barn Grey material, the backside of the door is sassafras painted white. 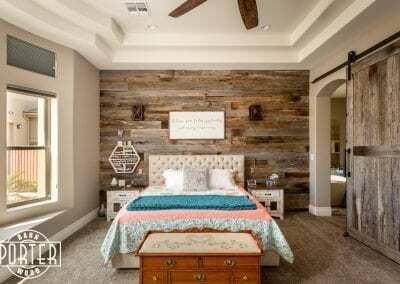 If you would like to contact us about a project like this one or something you have been dreaming up, you can call us, email us or enter in the information below on the contact form.